THE SKINNY: I know what I'll be wearing when the ball drops tonight -- the new Julep Orbital Eye Shadow in Supernova. 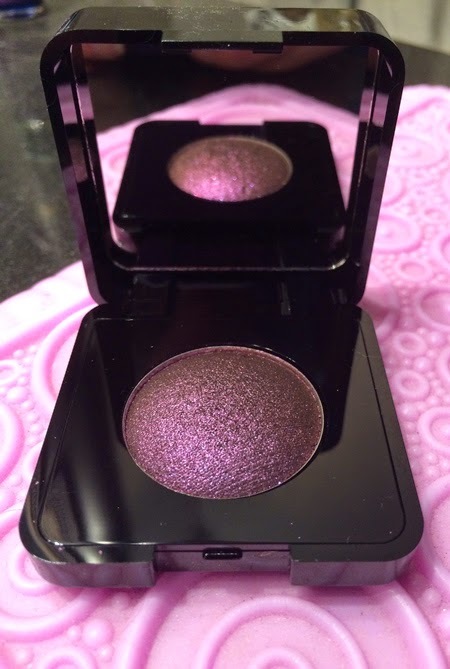 This new eyeshadow from Julep is a great color (how can you go wrong with purple) and is full of great little blue flecks that reflect light beautifully. The color was very much what you would expect when you open the container, lasted all day and garnered a few compliments. Use it as a liner shadow for day or full on smoky eye for a special event, such as New Year's Eve. Want more drama? Use this shadow wet for a super look. CHECK IT OUT: The new Julep eyeshadow line comes in six shades.